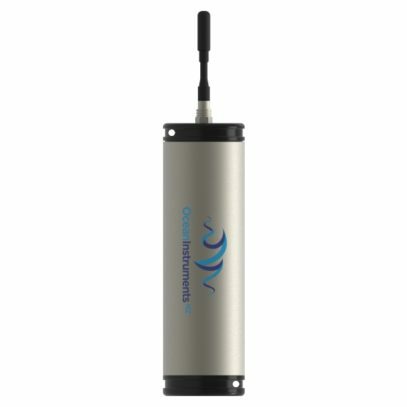 The SoundTrap ST500 STD is a self-contained underwater sound recorder for long term ocean deployments. The ST500 features the lowest power consumption of any underwater acoustic recorder available, coupled with beautiful audio fidelity thanks to super low self-noise and 90 kHz bandwidth. The ST500 is optimized for long term deployments. In contrast to our compact ST300 series recorders, the ST500 has a traditional open-able style housing that provides access to batteries and data. This allows for larger battery capacity and removable memory cards, making it suitable for long term deployments and fast servicing at sea. Price includes 90 kHz bandwidth hydrophone, 256GB of memory, cables, remote control and software. Rated to 100m depth. Upgradeable to 500m by installing an optional Prevco 01104-001 pressure relief value from here. See information here comparing the usability trade-offs between our ST500 and ST300 series recorders. Click see here for the full ST500 specification sheet. Due to high demand SoundTrap ST500 recorders currently have a 8 week production lead time. Please contact us to confirm. *Supplied with 256 GB non-removable memory. Has 3 x microSD card slots allowing for a further 768 GB of removable memory.